It has been part of rural rail travel for generations – stick out your hand and stop a train. But the age-old practice of request stops could soon be consigned to history and replaced by a thoroughly modern push and ride system. 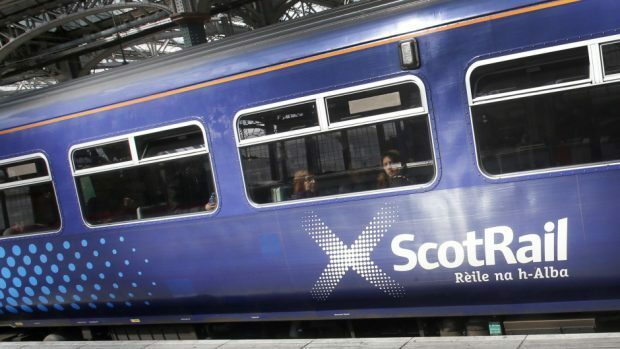 Passengers at remote stations on the Far North Line between Inverness, Thurso and Wick are to test a new way of letting train drivers know to halt at request stops. Instead of flagging down the train, like a bus, travellers will instead push a button on the platform, which will flash up a message on a screen in the train cab telling the driver to stop at the station. At the moment, drivers have to slow down as they approach “request stop” stations in case there are passengers waiting – losing time unnecessarily if the platform turns out to be empty. The new system is due to be tried out this autumn. It is an updated version of a practice widespread a century ago, where passengers pulled a lever to activate old-style “semaphore” signals to alert steam engine drivers to stop at a station. The Far North Line, which includes request stops such as Dunrobin Castle and Invershin, has a record of poor punctuality compared to other rural lines. If it works, the new system could also used on other lines with request stops. Scotrail managing director Alex Hynes said: “There will be trials in the autumn on a request stop system, which will provide real-time information to the driver. “Once we have demonstrated a viable solution we will find the money and roll it out. Frank Roach, partnership manager of the Highlands and Islands Transport Partnership co-ordinating body, said speeding up trains through request stops meant they were more likely to be on time at passing loops to meet oncoming trains, which would avoid delays. The plans, which were announced at the annual meeting of the Friends of the Far North Line in Thurso, were welcomed by the campaign group. Convener Ian Budd said: “We are very pleased this new method of request stop notification is being developed. “It will provide for a smoother operation and reduce wasted time on the Far North Line.